Potatoes are one of those great crops that can be grown many different ways, and are pretty easy to grow. They are one of the early crops of the year, so make sure you know when to plant potatoes in your gardening zone so you don’t miss out on this easy crop! There are two ways to decide when to plant something. One way is to look at a chart for your zone and to plant based on that chart. The other is to look for indicator species in your neighborhood that will help you know when conditions are right. For potatoes, traditional wisdom holds that you should plant them when the dandelions start blooming. All sources agree that they should be planted two weeks before the last freeze. Traditionally this turns out to be near Saint Patrick’s Day, which is fairly easy to remember! For me here in San Antonio they could probably be grown all winter, as we rarely get below 28 degrees. The bigger risk here is the heat of summer. Potatoes do not do well in intense heat. If you live in a hot area, make sure you plant early enough that you can get a crop in before the heat starts! Potatoes need 15-20 weeks before they are ready to harvest, so you can calculate the last possible planting date if you know the typical temperatures in your area. If your area gets hotter than 95, plant your potatoes so they have long enough to mature before the heat hits. 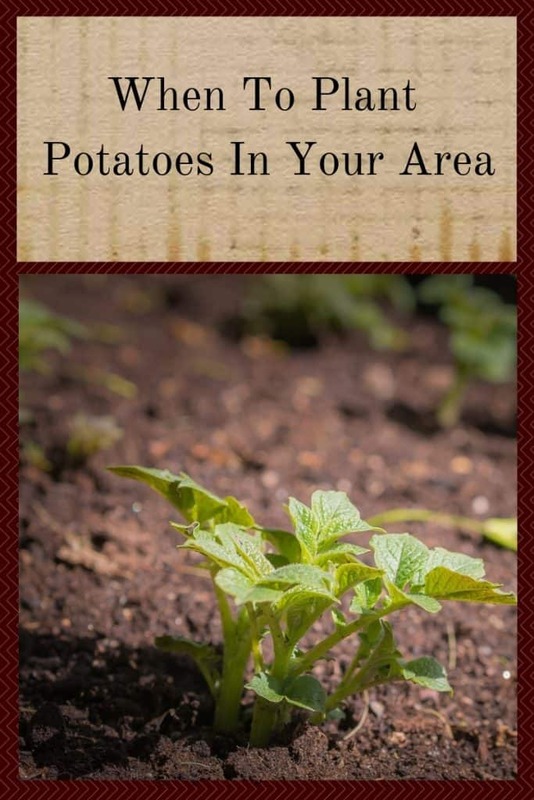 Zones 2a through 6b – Plant your potatoes in April and May. Zone 7a – Plant from January through March and again in August for a fall crop. Zone 7b – Plant from January through March. Zones 8a and 8b – Plant in January and February, and a fall crop in August. Zones 9a and 9b – Plant your spring crop in January and your fall crop in October and November. Zones 10a and 10b – Plant your potatoes in January and February and again in November. Zones 11a and 11b – You can plant one crop from December through February. When Can You Plant Potatoes For The Fall? Potatoes can also be planted in the fall for a second crop of the year in some areas. To find out when you can plant a fall crop of potatoes in your area you need to know your first frost date. Count back 15-20 weeks and start planting your potatoes at that time. Potatoes do very well as a fall crop in warmer areas. If you are in zone 8a through 10b, you should definitely plant a fall crop of potatoes! If you live in colder areas, you may still be able to grow a second crop of the year with the use of season extenders such as row covers or greenhouses.